Everyone knows that dogs love to have fun, but this pup got tired of playing fetch. 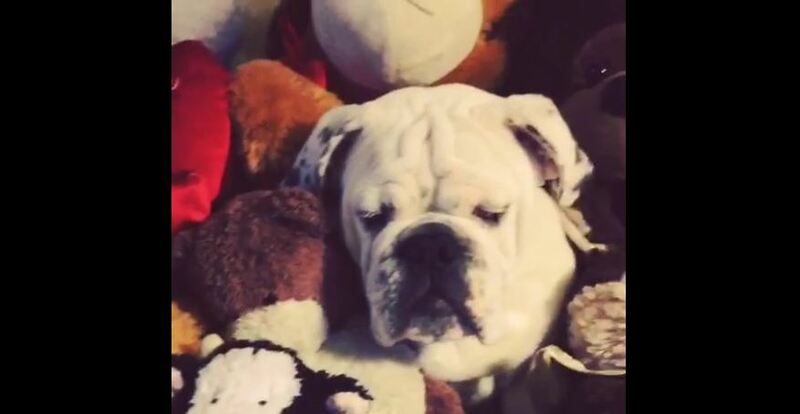 Instead, the adorable bulldog decided to start a game of hide-and-seek with his human. The guy just couldn’t find his buddy anywhere when he got home…until he made his way over to the stuffed animals, that is.